* What is Stand Up Paddling? Stand up paddling is the kind of water sport in which you stand on a board and paddle. The board is bigger than a surf-board and a lot more stable. Stand up paddling is easy, fun and suitable for everyone with basic condition and balance. * What kind of skills do I need for supping? Basic condition is enough for enjoying this easy and fun sport. We also require that you can swim, because there is a slight chance of falling from the board. A smaller child can share the board with an adult, and the adult is fully responsible of the safety of the child. * Can I get wet? Does the board flip over? Hopefully you won´t get wet, but there is a tiny chance for that. The board does not flip over, so actually the only way to get wet is to lose your balance and fall off from the board. * How can I stand up on the board? We recommend to start the paddling on your knees. You can try all the turns first on a knee-stand-position and once you have become familiar with your board it is safe to stand up. We give you all the instructions you need before we send you to the water with the board. Don´t be too afraid of standing up, normally it only takes a few minutes to find the balance! * What kind of equipments do I need? Best clothing for supping is the kind of clothing you would use on a fast speed walking round. Don’t wear too loose clothing as it can act like a sail when you are standing on your board. Also very long trousers are not recommended as they might get a bit wet if any water comes on the board. On a very warm day also swimming suit or bikinis are recommendable, as a bonus you´ll get a nice tan! Hakuna Matata SUP Rental offers you the board, the paddle, a life west, a leash and a bag for small items. All the beginners will get full instructions for supping before getting to the water. Make sure you are well on time (preferably 20 minutes) so you will have time to change your clothes, do the payments etc. so you´ll be ready to hear the instructions before heading to the water. * How long should the rental be? 1h, 2h, 3h..? 1h – a great length for beginners. You’ll have time to get into it, but it won´t get too rough for your muscles that are not used to it. 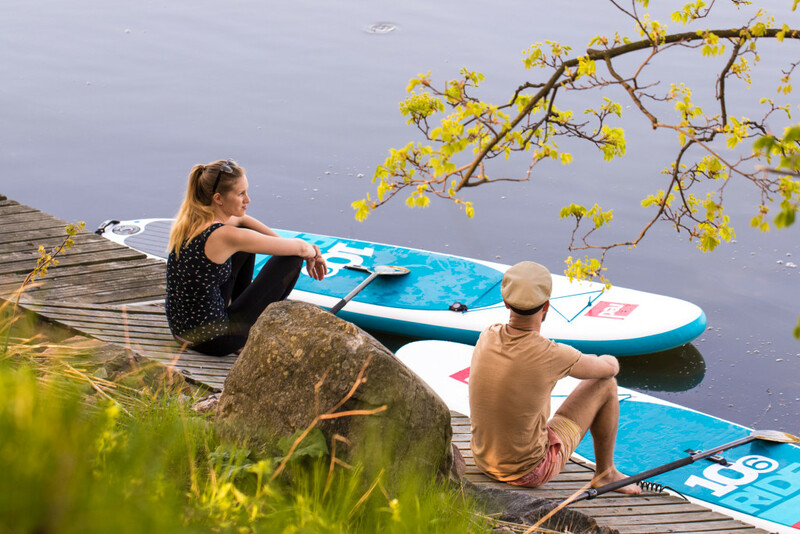 2h – a great time for a person who has tried supping before and wants to enjoy the nice weather, chill out on the board, and even make a small trip to the open see. 3h – want to make a trip? Take the board for 3 hours or more. You´ll know better the length of your adventure! 30min – want to have just a sample? Then come to the Rental and see if any boards are ready to rock. It is not possible to make a reservation for the 30 minute-rentals. * Do you have a toilet? Unfortunately the rental shop does not have a toilet, but there is a free public toilet just a few minutes away. Also there is a customer toilet at the cafe just next to us, so it is a nice idea to have a cup of coffee there before or after SUPping. * Where can I park my car? There is a big parking lot just next to Kisahalli, on the other side of Helsinginkatu. You can also try the Eläintarhan kenttä. * Where can I leave my stuff? It is possible to leave your bags and other stuff to the rental shop – on your own risk (never seen pirates). We also have some water proof bags for small items. * How can I pay? Cash is king. It is the fastest way of payment, especially the exact change. You can also pay by credit card (VISA, MASTER) and bank cards. No American Express nor Diner´s club. We also accept smartums. * How do I find my way there? 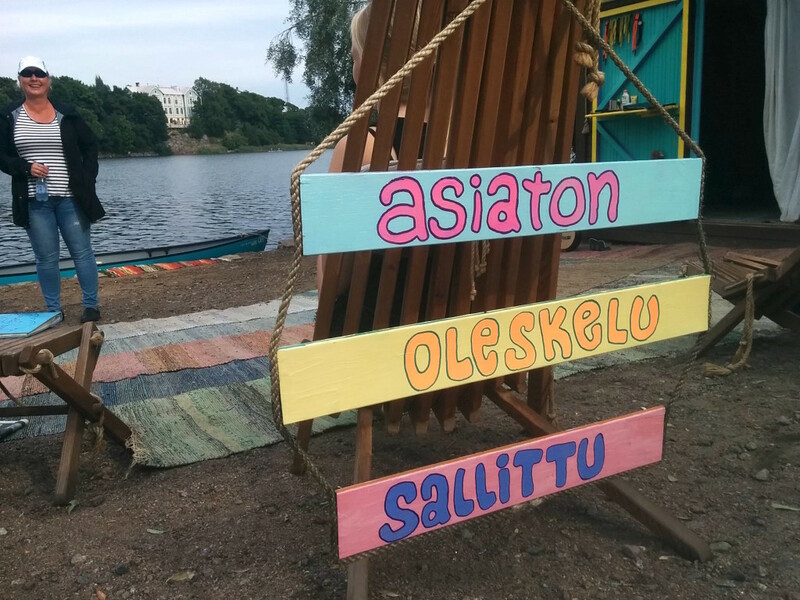 We are located just behind the Finlandia-hall, at the Töölönlahti Bay. You can reach us by walking 10 minutes from the Railway Station. You´ll find us in google maps! * I want to reserve the whole beach for me and my friends/ colleagues. How can I do that? Send us an e-mail: info(at)hakunamatata-sup.fi and we´ll be happy to arrange a perfect summer-day for you! We have 30 boards. Yes! On a sunny day we can easily be fully booked. If you have problems with the reservation calendar, please call us: +35840 140 7705. We take the calls when we are open. * How do I know if you are open or not? Always when the weather is nice, we are open. You can check our reservation calendar; if you can book a board for the same day, we are open. * How can I cancel my booking? Please send us an e-mail a day in advance: info(at)hakunamatata-sup.fi or call us latest 3 hours prior: +35840 140 7705. If you are canceling because of the really bad weather you can cancel even right after your reservation. Didn’t find the answer? Please send us mail and we will write back asap!